There is no way to overstate the significance of the social media and their impact on the daily lives of individuals, business persons, and virtually everyone else in modern society. In terms of the communications between two or more parties, it’s fair to say that the social media have brought about a profound transformation, and that they have changed the way we all interact with each other. That transformation has permeated the business world as well, creating vast new opportunities for business-to-business (B2B) connections. Since approximately 70% of all Americans use at least one of the social media platforms to communicate and interact with others, those platforms are the perfect place for marketing and advertising gurus to focus their efforts. Not surprisingly, more than three-fourths of all B2B marketers now use the social media as well to promote their products, because that’s where the audience is. Any B2B enterprise overlooking the social media today is missing out on potentially the single greatest opportunity for marketing and advertising in the modern business world. 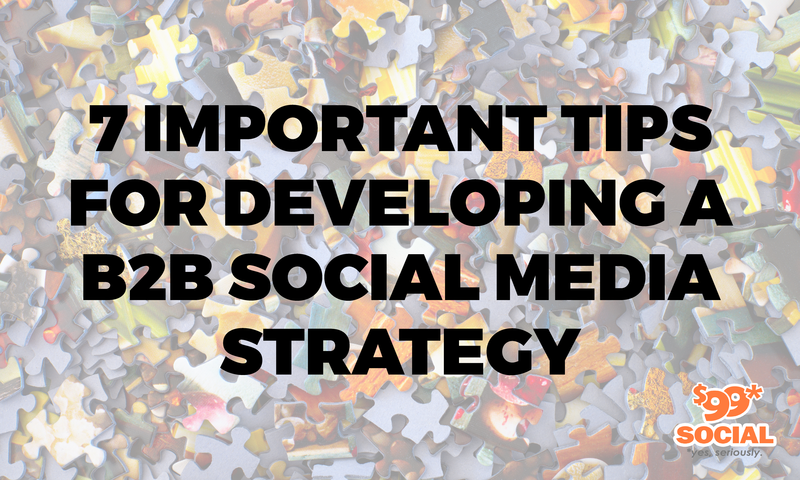 That being the case, here are some of the most important tips to keep in mind for developing your B2B social media strategy. It’s really not in your best interest to use all social media platforms to promote your business objectives. In the first place, you might quickly find that to be cost-prohibitive, and in the second place, the target audience you’re trying to reach may not have a very large presence on all of the social media. For instance, if you’re trying to reach a more youthful audience, you may not want to invest so heavily in Facebook, because that tends to be populated by a more mature set of individuals. On the other hand, more than 90% of all B2B companies have a LinkedIn presence, since that platform is the acknowledged leader in business professional’s interaction. If one of your company objectives is to make strong use of video marketing, you may want to consider establishing a presence on YouTube to take advantage of its video expertise. It might also be helpful for you to research which platforms your competitors are using, since they may already have conducted research into the target audience you also want to reach. In short, invest most heavily in the social media platforms where your true followers are. There’s really not much point in establishing accounts on the social media which will never be used, or which will rarely be used. The same is true for setting up accounts that don’t really sync with what your business objectives are. You should keep in mind that any social media account which you establish should simply be an extension of your current business. This means that everything from your profile onward should be a reflection of your business values and mission. Your posts should always contain content which conveys to others, those elements which are important to your brand, and how you want to be perceived as a company. Anytime you establish a social media account, you should be guided by the notions of understanding who your target audience is, and how you can provide information which is relevant to them. The best way to ensure that your social media presence and all content posted are in alignment with your company’s objectives, is to establish a social media policy which formally guides the whole process. Everyone in your company who is involved with the social media should abide by the terms of your policy, so that posting is approved, and so responses with your target audience align with company policy. 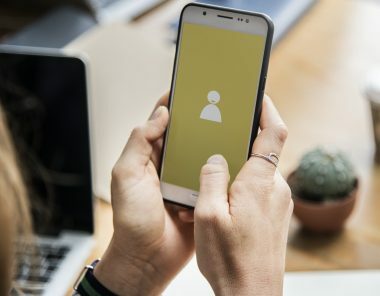 It’s also important to have at least one individual in overall charge of your social media engagement, so that all activities can be overseen by someone thoroughly acquainted with company policy, and committed to carrying it out. It’s a good idea to use both organic and paid strategies in your approach to the social media. Organic growth does not usually reach the wide audience that you’re striving for, because it relies on your followers sharing with others to create a broader audience for your posts. 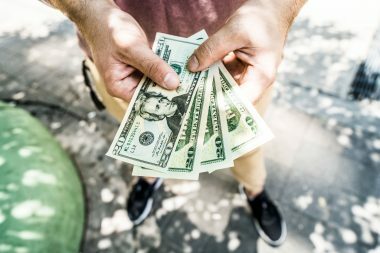 The small investment that you make for paid advertising in the social media will be well worth your while, because it will guarantee that you get a larger audience. 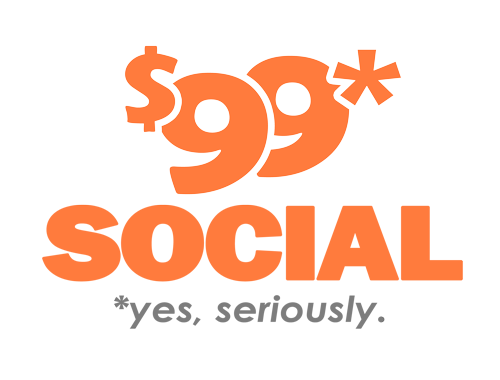 Generally speaking, a good way to approach this is to use organic strategies for regular posting on the social media, and when you have a special event in mind, or an idea whose success depends on reaching a large audience, that would be the time to use paid advertising. The followers you have on the social media will probably lose interest in your posts fairly quickly, if all of your posts are about the company and its products or services. Try to mix in a liberal amount of content which contains information of relevance to your followers which has value in their daily lives. This might be about industry news, helpful ways that your audience’s needs can be addressed, or perhaps behind-the-scenes details about your company and its employees, which help to give it a human aspect. The best way to retain readers of your posts and to acquire new ones, is to strive for a high level of engagement with your readers. This means that you should do more than just post content to the social media and walk away from it. Try doing things like initiating conversations or questions, and then make sure to respond or provide feedback to any comments that your followers make. It’s a good idea to have at least one person in your company monitoring responses you get on the social media, so that these can be followed up on. When you show your readers that you’re a living, breathing company, rather than just an unapproachable business entity, it’s much easier for your followers to relate to you. When a relationship like this is established, it can very often lead to business relationships and to business loyalty. It’s essential that you implement a body of metrics which will allow you to measure the success of your social media marketing and advertising efforts. If you don’t know how well you’re doing on any of the platforms, there is no way you’ll be able to figure out which ones are effective, and which ones should be adjusted, or dropped from your strategy. In order to accomplish this, you’ll have to identify which metrics are most important to you, and then create a system of monthly reports which feature those metrics. This should provide you with solid information on how to make changes to your B2B strategy, so as to enjoy greater success on the social media.